This error means that Kello can't read what playlist, album or artist you want to listen to when you wake up. 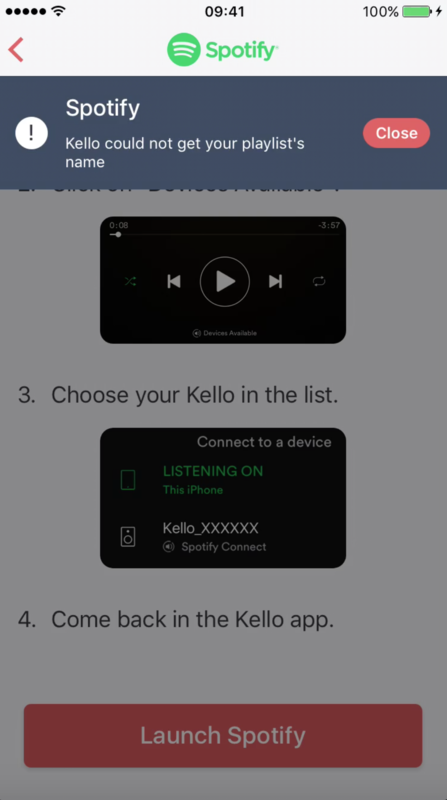 ➡️ When choosing the content in Spotify, you must play it on Kello before going back to the Kello app. The content shouldn't be paused. It will pause automatically when you save your alarm. ➡️ You must be using a Spotify Premium account. Kello doesn't support Spotify's free plan. ➡️ Make sure you chose Kello in the "Devices Available" menu.